Are you reading this? Seriously, are you? Sure, we know you think you are, but what if you're just a sub-feature of a complex computer program. A sprite, nothing more than the creation of software. The problem with this question is, how would you ever know? You wouldn't, right? Well, not so fast there. 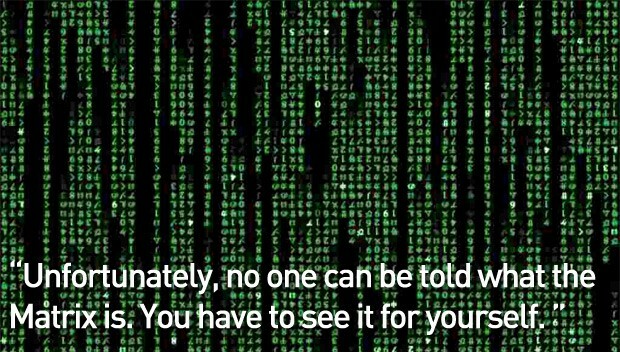 Turns out, maybe there is a way to unravel the matrix (if there is one). It'll come as no surprise, that this is one of the topics in this week's collection of alternative stories. Think that's all we got? Not even close. 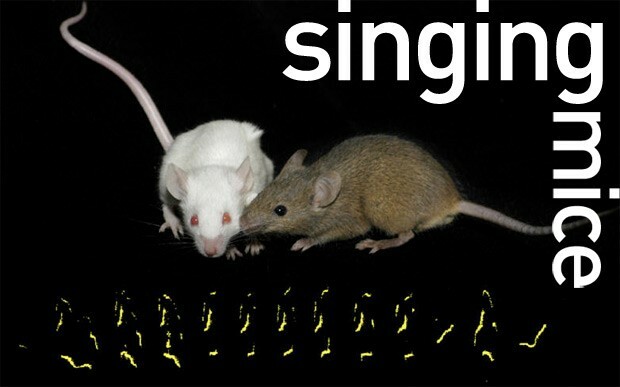 We'll explore the truth behind cloning dinosaurs, as well a rare performance by singing mice -- all before dinner. Or is it really dinner? This is alt-week. We're not exactly big fans of bugs, but excuse us if we run another roach-related story by you. Scientists have recently discovered a 520 million-year old insect brain. While that's kinda cool in its own right, the fact that it's the oldest arthropod brain ever found, and also believed to be the earliest example of a "modern" brain yet, pushes it up the significance ladder somewhat. The discovery was made in the Yunnan Province, China, and is being considered as major breakthrough in the study of insect evolution. 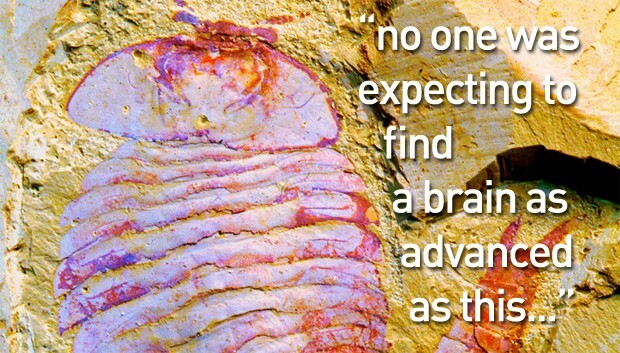 Nicholas Strausfeld, the study's author, highlights that no one was expecting to find a brain as advanced as this so early in the history of multicellular animals. Fuxianhuia protensa, the species of the critter, now suggests that the earliest insects may have evolved from species' that already had a complex brain. Which is more than can be said for everyone. Now if that news has your inner evil-overlord scheming a plot to create a clone army of intelligent prehistoric bugs, sorry, we've got bad news. Scientists have determined that the half-life of DNA is 521 years, effectively ruling out any hopes of creating a clone army of pretty much anything beyond 6.8 million years ago. Even then, it's claimed that DNA would be pretty much unreadable after just 1.5 million years, relatively recent in terms of what's available in your cloning-catalog. Palaeogeneticists at the University of Copenhagen and Michael Bunce at Murdoch University in Perth, Australia determined the half-life after studying a set of 158 DNA-containing bones from an extinct species of bird called "moa" (a feat in and of itself). This collection of remains ranged from 600- to 8,000 years old, but vitally all with a similar state of preservation. Once the sample set had been gathered, the 521 number was reached by comparing states of decay. 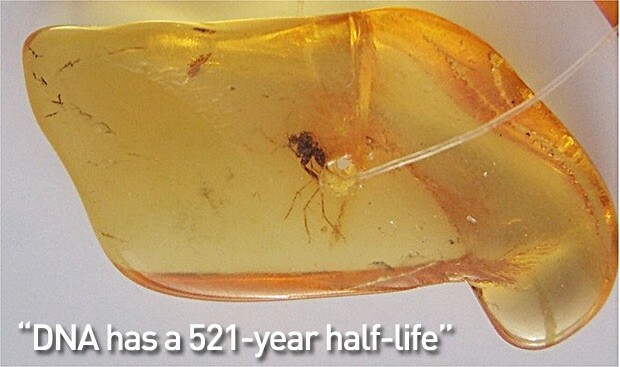 While this is bad news for anyone claiming to have found DNA in, say an amber-encased mosquito, it does mean that the record for the oldest DNA sample (currently 500,000 years old) can be broken. Okay, so it's not all about deflating your sci-fi balloon, this next story should pump it right back up again. You know those late night existential conversations with friends, that normally involve cats in boxes, and lofty ideas about the whole world being a computer created "matrix." Well, it turns out that second one might actually be provable... in theory at least. Silas Beane and a team from the University of Bonn, Germany think they've worked out a way to uncover any evidence that might hint that you, the world and even Schrödinger's moggy (whether dead alive, or both) are just a simulation. The science, as you can imagine, is a little dense, but involves the requirement of a discrete 3D lattice when simulating the fundamental laws of physics. The spacing on this lattice imposes a fundamental limit on the energy that particles can have. Ergo, if our universe is just a simulation, there should be a cut off in the spectrum of high energy particles, and low and behold, there is -- the Greisen-Zatsepin-Kuzmin or GZK cut off. There's even a secondary measurement we can make to further prove the notion, and it can be done with today's technology. There is, of course, one big "but," and that is whether the simulating computer is using a lattice constructed in the same way as the one imagined by the scientists. So, the topic of late night conversations now? Beane's lattice.